Find top-tier choices for sports venues in Dubuque, Iowa, a city that offers plenty of fun things to do and an inside look at its rich cultural history. 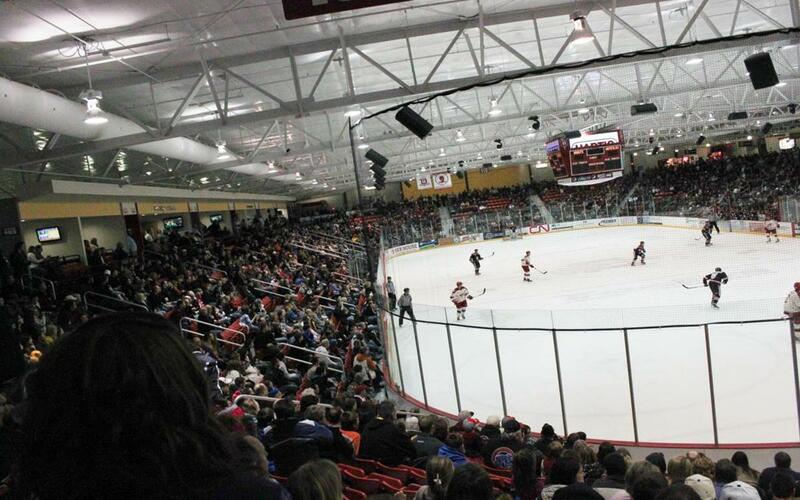 Mystique Community Ice Center is home to the the USHL Dubuque Fighting Saints. 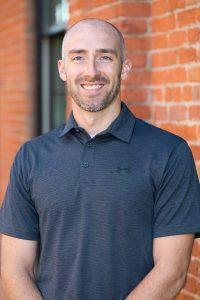 Planning an athletic event can be taxing work, with tasks such as finding transportation, lodging accommodations, affordable dining options and, of course, sports venues taking so much effort. Fortunately, the captivating city of Dubuque, IA makes this difficult job easy and stress-free, with its multitude of sports facilities to choose from. The delightfully charming atmosphere of Dubuque combined with its slew of enjoyable activities make it the perfect destination for your upcoming sports event. Dubuque supplies an assortment of athletic venues to pick from that assure your sports teams’ comfort and safety. Sports planners will be sure to have a wide selection of athletic venues and facilities at their convenience, while families of athletes can wander through the city and relish in its natural beauty. Parents and athletes will be delighted by the endless attractions and entertainment, including the highest quality restaurants, retail, museums, lodging hot spots and activities to participate in along the river. 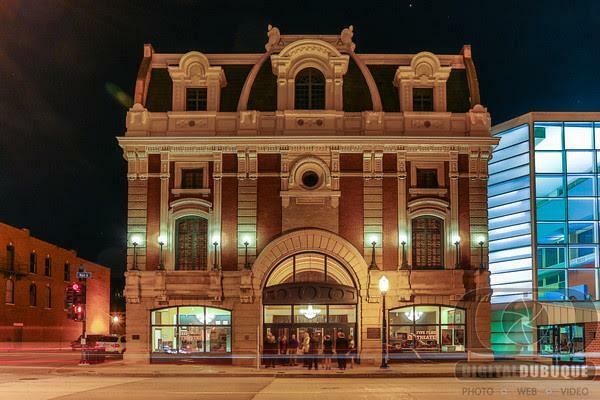 If you’re not too fond of the outdoors, Dubuque’s arts and culture scene will undoubtedly keep you occupied, as their museums and landmarks give you an inside look at the history and heritage of the culturally rich city. From excellent athletic venues to dazzling attractions, Dubuque is your one-stop shop for sports and entertainment. Situated in the heart of Dubuque’s historic downtown, Five Flags Center is a multipurpose facility ideal for sporting events, concerts, conventions, theater performances and other large events. Spanning a whole city block of fun and games, Five Flags Center offers four facilities for sports, weddings, family shows, festivals and exhibitions, comedy, musical shows, graduations and other various uses. The arena has a maximum seating capacity of 4,000 for ticketed events, and is equipped with concession stands, sound and light systems, locker rooms, dressing rooms, mobile bleachers, padded permanent seating and other amenities. The newly renovated Historic Theater features new bathrooms, restored seating, a roomier balcony, plaster repair and repainting. The Bijou Room and Orpheum Room are ideal for baby showers, wedding rehearsal dinners, birthday parties, interviews, off-site lunch meetings, day-long meetings and departmental training sessions, and seat 135 people and 50 people respectively. The facility is also ADA compliant, and supplies internet access, restrooms and street parking. 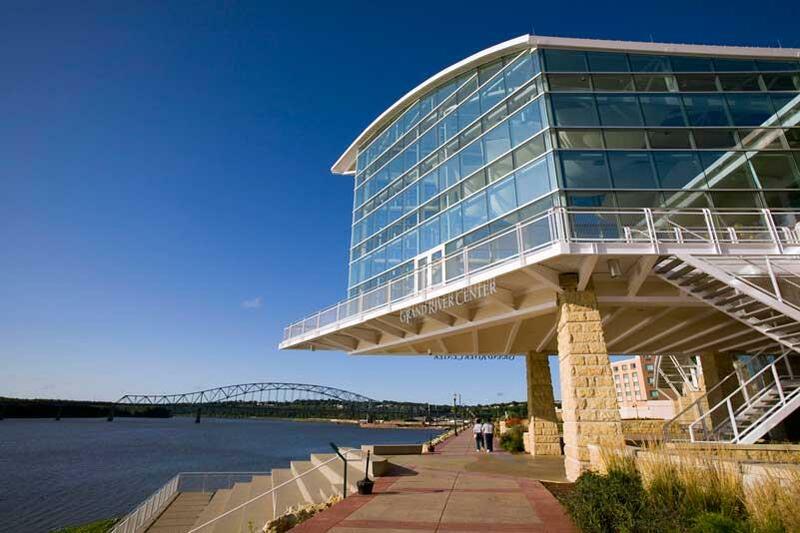 Located along the beautiful Mississippi River, the Grand River Center’s diverse, hospitable nature allows visitors to enjoy amenable services. The Grand Harbor Resort and Waterpark is connected to the Grand River Center, and spotlights 193 rooms perfect for relaxing conversations at Tony Roma’s Restaurant or fun at the 25,000 square-foot indoor water park, featuring waterslides and activity pools. Take your next wedding, holiday party or other formal event to the Grand Ballroom, which seats 1,000 guests, the all-glass River Room or the mesmerizing Exhibit Hall. The center convention staff promises high speed internet access, data port entries, self-service business center, complete event coordination, registration and information booths, local hotel conference information, convention and visitor’s bureau support and theme decorations. Grand River Center makes finding parking worry-free with its own complementary parking garage and parking lots on the north side of the building. Other services include restrooms, ADA compliance and elevators. Home to Dubuque Youth Hockey and the USHL Dubuque Fighting Saints, this first-class community ice center built in 2010 services the public with superb facilities for hockey and daily public skating. Serving as the Tri-State area’s number one destination for all on-ice recreation, this world-class ice rink presents several programs for all skill-level skaters, including public skating, figure skating, hockey, learn-to-skate lessons and clinics, camps and tournaments for more developed skaters. The 3,000-seat ice arena is an excellent choice for holding group events like field trips, parties, corporate events and other gatherings, and is available for rent at your convenience. Additional basic amenities include elevators, restrooms, ADA compliance and onsite parking. Lace up your skates and bring your future hockey tournament to this cutting-edge ice arena. This state-of-the-art sports complex highlights its host of indoor and outdoor facilities for baseball and softball, allowing athletes to show off their curveball on the diamond. Dubuque’s largest youth baseball/adult softball facility spotlights a new 10,500 square-foot indoor hit zone and training center, five baseball/softball fields, three lighted outdoor batting cages, a full-service concession stand and a limited service concession stand, personalized lessons and camps. This full-range complex supplies services for youth baseball leagues and tournaments, adult softball leagues and tournaments, boys and girls baseball/softball camps and individual and team training. Other basic amenities include ADA compliance, restrooms and onsite parking, and with its abundance of favorables services, Dubuque Sports Complex will not disappoint. The top-quality Dubuque Soccer Complex provides soccer teams with seven playing fields, perfect for simultaneous matches and tournament-style games. Home of the Dubuque Soccer Club, the complex hosts competitive and recreational soccer programs for players between the ages of three and 15. The Dubuque Soccer Club offers a variety of summer camps for players to brush up on their skills and continue their development. Despite your athlete’s skill level or economic circumstance, the club pledges top-end coaching in a fun learning environment to help every child reach their full potential in the sport. Basic amenities include restrooms, ADA compliance and onsite parking. This welcoming, family-owned mountain resort promises its guests pleasant skiing and snowboarding experiences that will be sure to satisfy even the most winter-averse customers. Sundown’s winter wellness programs were created to promote fit and healthy living and improve physical skills and self-awareness. 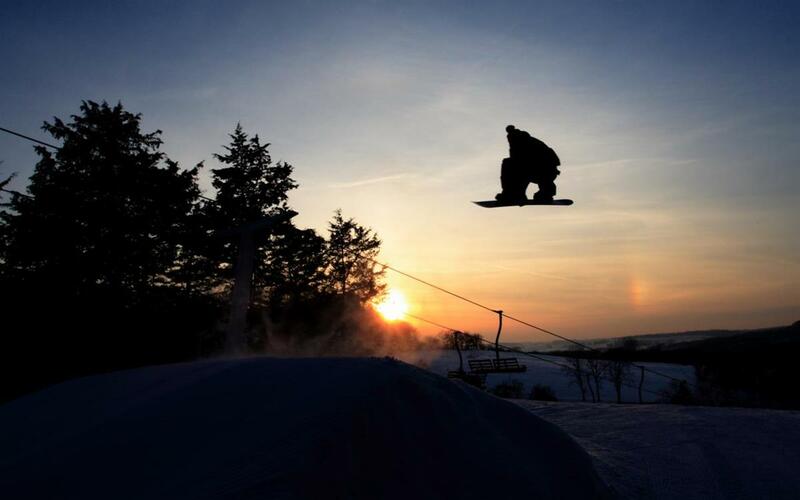 Known as one of the Midwest’s deluxe ski resorts, Sundown is furnished with two terrain parks, 21 runs and scenic trails with beginner, intermediate and advanced terrain, four lifts with two conveyor carpets and 475 feet of vertical drop. Additional amenities include onsite parking, internet access, restrooms and ADA compliance. Sundown’s two mountain lodges overlook 100 square miles of gorgeous countryside and cedar trees. With their park’s modern features, Sundown makes available lessons for all age groups and skill-levels, and offers advanced snowmaking and grooming. Hit the slopes at Sundown Mountain Resort for family-friendly fun and some lighthearted competition. Located at the impressive Diamond Jo Casino, this top-notch bowling center ample space for group bowling games and tournaments. The bowling alley spotlights retro-style decorum with 30 lanes, including Alley Cat VIP Lanes for private events that feature four bowling lanes, the latest sound and scoring systems and accommodations for up to 25 guests. Cherry Lanes’ Rock and Roll rooms provide more intimate settings for parties and groups, and are equipped with a flat screen television with AV capability for gatherings and meetings. 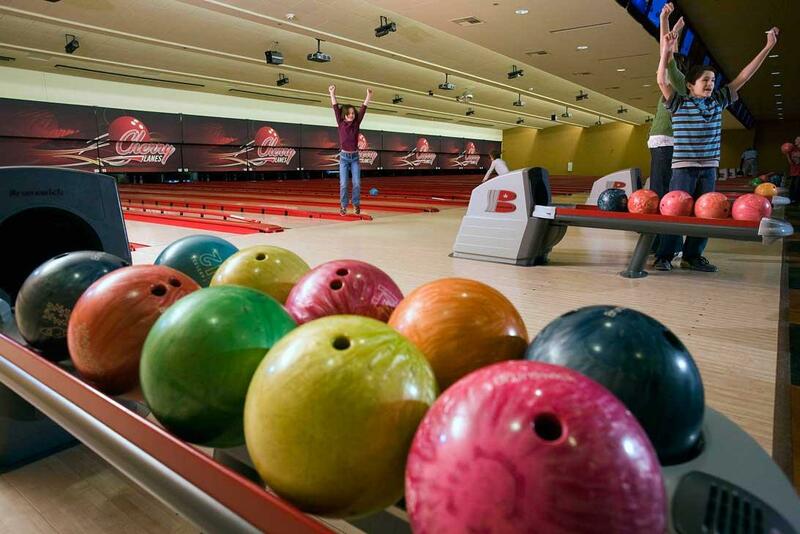 This first-rate bowling center also presents guests with fun party packages such as The Strike and King Pin, group services that promise hours of chances to knock down some pins and enjoy delicious dining. Other basic amenities include ADA compliance, restrooms and onsite parking. Off the field, teams will have the opportunity to revel in the gorgeous nature, scenic attractions and plentiful restaurant and retail options in their downtime. With Dubuque’s array of nature parks, shopping and accommodations, visitors will never become bored of the multitude of things to do. When athletes, coaches and parents have finished their busy days of sports and games, they’ll have the chance to explore the plethora of activities that Dubuque has to offer. If you’re interested in learning more about the animals, culture and history of the city, the National Mississippi River Museum and Aquarium sheds light on these topics through interactive exhibits, aquariums and animal encounters. Continue your nature excursions at the Julien Dubuque Monument at Mines of Spain, a nature center and state park that serves as the burial site of the city’s founder. Enjoy the peace and quiet of Heritage Trail, a multi-use area for hiking, biking, running, jogging, cross-country skiing or snowmobiling on the 26 miles-long trail. Additionally, maybe your baseball team has always wished to be part of the sports movie Field of Dreams. 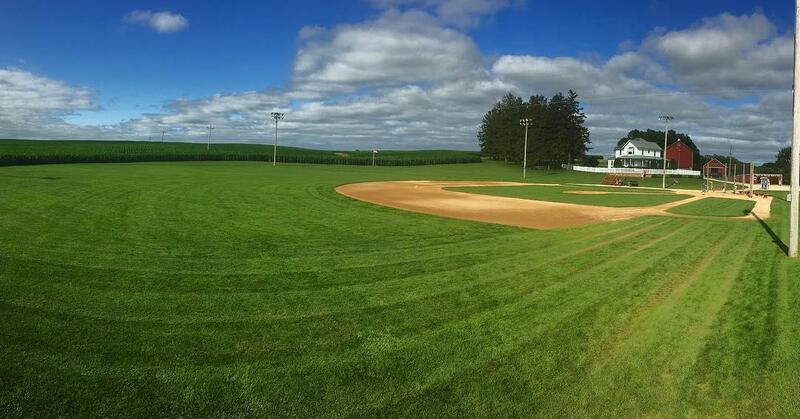 Get them one step closer to their dreams by visiting the Field of Dreams Movie Site, the famous baseball backdrop of the Oscar-nominated movie. Cap off your trip with a view of Iowa, Illinois and Wisconsin at Fenelon Place Elevator, also known as the Fourth Street Elevator, the world’s shortest and steepest railway. 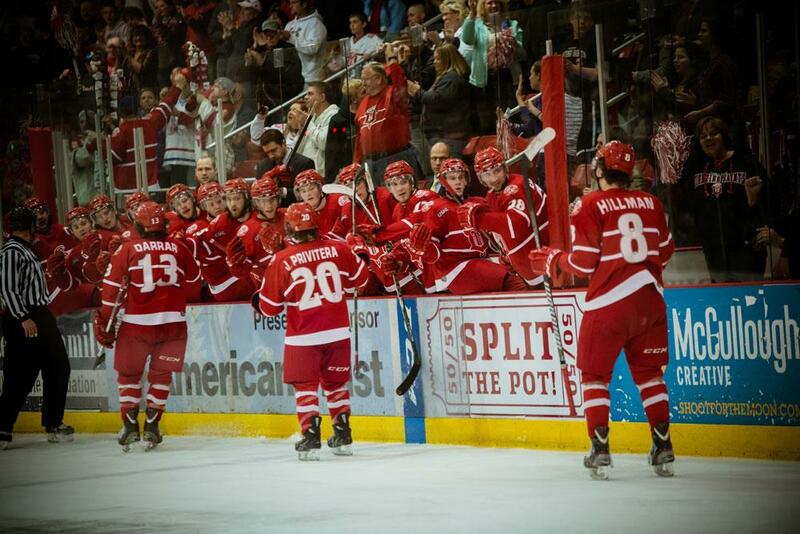 …In the community with the stable support of the Dubuque Sports Commission. Way back when we were ready to contract with a timing system, the Sports Commission was right there to award RUN4TROOPS a much-needed grant to cover that cost and they have been there for us and with us ever since. Now we are approaching double digit years and are consistently bringing in participants from 25 plus states and 5 countries. It definitely takes a village to coordinate and implement such a quality event and we have a very strong and solid village here in the Dubuque area with many volunteers and sponsors. By Car: Four U.S. Highways – 20,151, 61 and 52 – and two state highways – 3 and 32 – service Dubuque. Highway 20, the city’s busiest east-west highway, connects to Rockford and Chicago to the east and to Waterloo, Iowa in the west. Highways 151, 61 and 52 run north-south, and Highways 61 and 52 connect Dubuque with the Twin Cities to the north. Highway 151 connects Dubuque with Madison, Wisconsin to the northeast and Cedar Rapids, Iowa to the southwest. By Air: The Eastern Iowa Airport (CID) is approximately one hour and 20 minutes from Dubuque, and services the following airlines: Allegiant, American Airlines, Delta, Frontier Airlines and United. Additionally, Dubuque Regional Airport (DBQ) is roughly 15 minutes and less than ten miles away from Dubuque, and services American Eagle and American Airlines.